It’s the #1 trending topic on Twitter, and currently burning up other social media, as well: Rachel Dolezal, who resigned today as President of the Spokane chapter of the National Association for the Advancement of Colored People (NAACP) and is a professor of African-American studies at Eastern Washington University, has allegedly been passing herself off as black, despite having been born to two white parents. At our house, the issue of self-identification gets even more complicated because, despite not having a Jewish father, all three of my children are being raised Jewish, and they identify as 100% Jewish, not “half.” And then there’s my husband. He didn’t convert, and he doesn’t self-identify as Jewish. But he does identify with the Jewish people, via his children. This makes his life ever so pleasant when strangers making snap judgments take one look at him and assume he must be anti-Israel and pro-affirmative action when it comes to admissions for NYC’s top public high school, which our son attends. For the record, that would be a “yes” on Israel’s right to exist and defend itself, and a “no” on lowering admissions standards for minority students. Conversely, as the wife of an African-American man and the mother of three biracial children, I feel much more personally connected to cases of police shootings, racial profiling, and the academic achievement gap for minority children than I ever did before my marriage. Would I self-identify as black? No. Never. That would be insulting (in my opinion; I believe even wearing ceremonial clothes of another culture is pretentious, though many would disagree with me). But, do I feel Black? The same way my husband sometimes says “us” or “we” or “our” when he’s talking about Jews. I honestly can’t imagine how you can love a person and not feel like a part of their struggle. Which is a part of them. Which becomes a part of you. 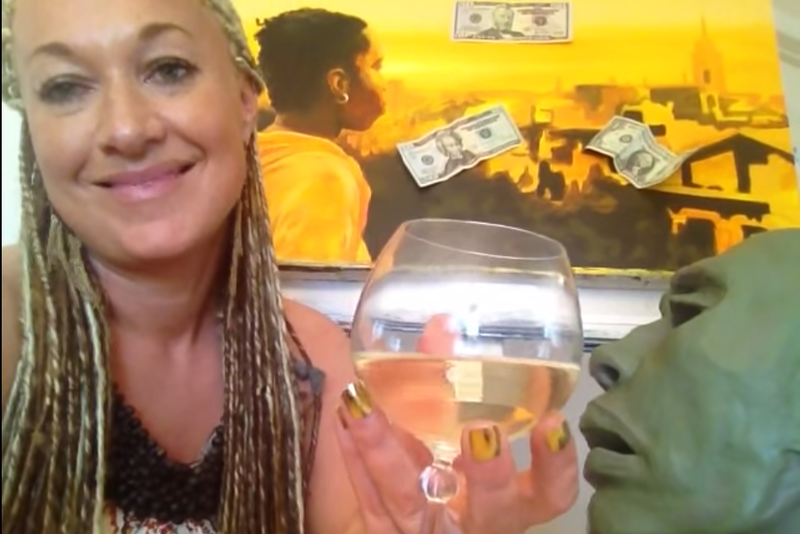 That said, I don’t know why Rachel Dolezal chose the path she did. According to media reports (and as a part of the media, I know how unreliable it can be), she has four adopted African-American siblings. Maybe this is merely a case of over-identification. Or maybe it’s a calculated, cynical ploy to exploit college scholarships and faculty set-aside programs for minorities. Maybe it’s a mental illness. Or performance art. Or a political point about how we’re all actually brothers under the skin, and race is a social construct, and human life began in Africa, ergo everyone is an African-American. All I know is, while the majority of the internet is indignantly calling for her head and/or cracking jokes, I’m thinking about my own kids and they struggles they face—and will face in the future. That’s an accusation often hurled at my son. But his “high-yellow” skin and blue eyes don’t protect him from what he hears about black people when those around him don’t know he’s actually “one of those,” and they don’t protect him from idiot classmates who, upon learning he’s black, immediately ask, “Can you score me some drugs?” (or express surprise at how my son’s chemistry grade could possibly be higher than theirs). 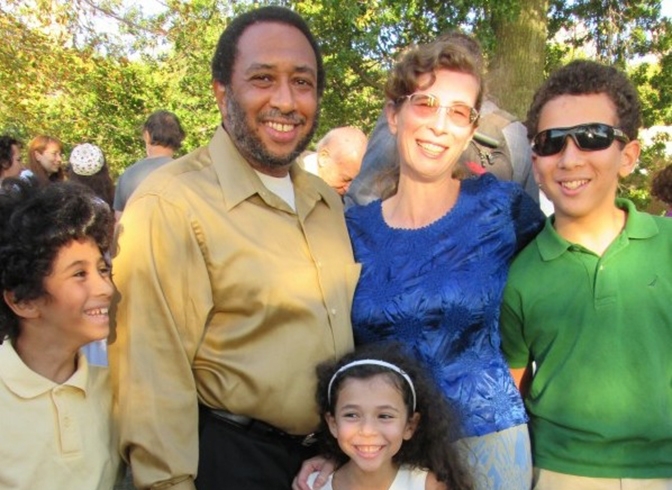 If you ask my son or me “what” he is (and yes, that happens constantly; I’ve been told I’m supposed to take offense, but I choose to see it as a teachable moment and educate instead of flying off the handle; again, just my opinion), odds are both he and I will answer, “Black and Jewish.” I don’t know why we say it in that order. It just flows better, I guess. As for another charge against Dolezal, that she “appropriated experiences that weren’t hers,” well, the fact of the matter is, very few 21st century Americans can claim having experienced either slavery or mass extermination. So are they also appropriating those far-removed experiences when they speak of them personally? My primary takeaway from the incident and my family’s own experience is that, apparently, identity is much more complicated than my husband and I ever imagined it would be before our kids were born. And that instead of having all the answers, we’re going to be learning right alongside with them… and the rest of America.